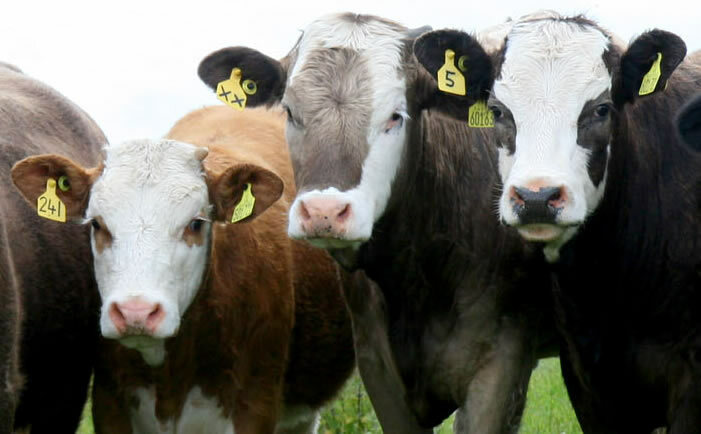 THE Scottish Beef Association has been encouraged by the news liveweight gains of over 1kg per head per day for store cattle on a forage only ration are being achieved at a Dumfriesshire farm. Doug Greenshields has been operating a rotational grazing system at South Mains Farm, Sanquhar and is one of 21 case studies showcased in the Scottish Government backed Planning for Profit Reference Guide which will be available at roadshows taking place around the country in the coming weeks. The SBA has welcomed the Planning for Profit initiative as it is aimed at assisting farmers to ensure their businesses are equipped to operate profitably in the face of a possible reduction of support payments. QMS have this week confirmed Mr Greenshields adopted the rotational grazing system in 2009 when South Mains became a QMS Grass Demonstration farm and as the system worked so well he went on to maintain it, believing it to be one of the cheapest and easiest ways to improve profits on a mixed farm like his. South Mains runs to 1700 acres; 680 of hill but with about 300 acres of better quality grassland for silage and 450 of good grazing, the remaining 270 acres is used in-bye. Stocking consists of just over 200 Stabiliser cross suckler cows put to a Stabiliser bull, 700 Blackface ewes, half of which are kept pure and half crossed with the Bluefaced Leicester and 800 home-bred Scotch Mules crossed with the Texel. QMS explained that up until 2009 store calves were sold in April at a year old but since introducing rotational grazing, Doug has kept them for a second summer, allowing them to grow a bigger frame. He reckons buyers can see the potential in them as forward stores when they are sold at Dumfries mart in September. In 2013 87 bullocks averaged 450kg liveweight. The best of the heifers are retained for breeding and there are also a number sold for breeding every year with the 40 sold store averaging 410kg. The yearling calves are separated into batches and three rotational grazing systems operated, while cows and calves are summer-grazed on the hill. Paddocks are electric fenced from the end of May to an ideal size of three to 3.5 acres for 44 bullocks, which are moved to a fresh paddock every three days. Ideally the full rotation will take about 20 days which allows the optimum grass growth, although Mr Greenshields pointed out that each year it is slightly different. The grassland gets P and K over the winter plus 46 units of nitrogen in March and 27 units in June regardless of whether it is to be cut for silage or grazed. Last year his silage had a dry matter of 30%, an ME of 10.5 and a D-value of 65. In order to get the most out of the fresh spring grass, he weans the calves off hard feed during February and March. This not only saves money from buying expensive concentrate but fully acclimatises the cattle to a forage diet before turnout so they get a compensation boost from the grass. For an initial investment of £3,000 on electric fencing and £3,000 on water troughs, Doug believes there can be no quicker return on capital in livestock farming. For more information about grassland management and rotational grazing, along with a host of other topics, visit the Planning for Profit Roadshow at The Lochside Hotel, New Cumnock, on Tuesday 21st January. Further roadshow events are also set to be held on Thursday 23rd January 2014 at Dewar’s Ice Rink, Perth and on Wednesday 12th February 2014 at the Thistle Hotel, Inverness. Booking is essential for these free roadshows and places (including lunch) will be allocated on a first come, first served basis. To book your place contact Kirsty at QMS on 0131 472 4040 or email info@qmscotland.co.uk with your name, address and telephone number.